Five years ago today, hurricane Sandy made landfall and devastated coastal NYC, where I spend a lot of time. I was out during the storm itself, and then in Coney Island the next morning and Rockaway a couple days later. Five years later, while there is still much work to be done, these places have both come back strong. 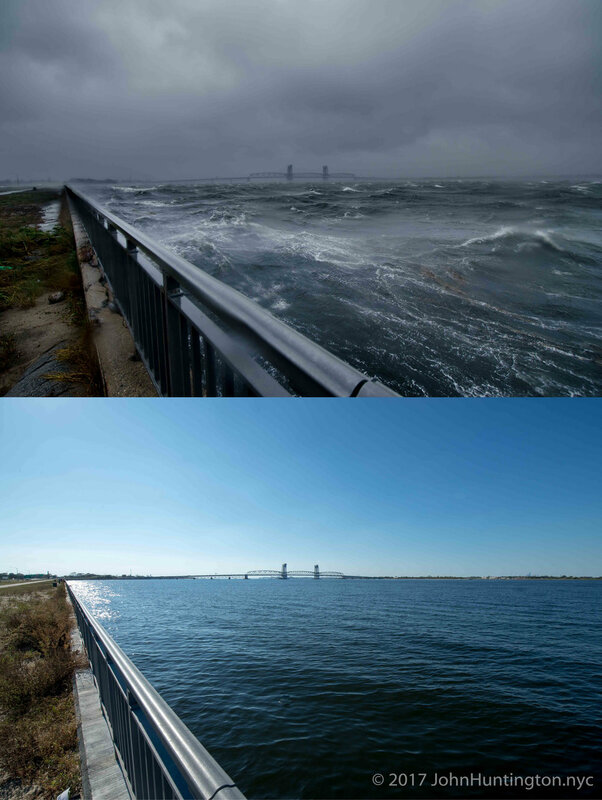 The top image below is Jamaica Bay from Rockaway at Sandy's first high tide. The second high tide overnight is the one that caused the most devastation, and at the time this photo, the bay was already lapping at the sea wall. The bottom image in each is recent. I went to Coney Island the morning after Sandy.